Well, my finger doesn’t hurt so much any more, so the crafting has been happening 🙂 First up was a cross stitched card for my aunt to say thank you for all the supplies, but naturally I forgot to photograph it before I stuck it in its envelope and posted it. That’s three cross stitched cards I’ve forgotten to photograph, which is a trifle annoying Better luck next time, I suppose! Then I started knitting, and attempted to beat my 4-day pair of socks record. I didn’t, although I did finish the first one in just over 2 days! This is my first attempt at jaywalkers, and while I like the pattern, I was surprised to find I actually like knitting vanilla socks! Then I got sidetracked with the felted tweed yarn I picked up from Plymouth over Christmas, and so swatched for the jumper I’m planning on making. 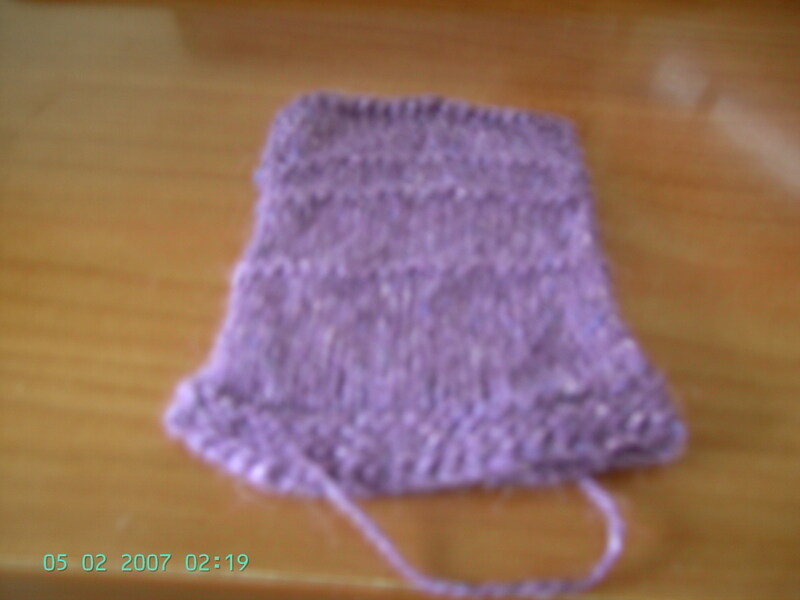 I also knit a swatch in some 4-ply cotton/wool blend, but a) I can’t get a decent photo of it, and b) it’s lying to me, so I need to make a bigger one anyway. I need to sort that out sooner rather than later, as it’s for my dad’s birthday, which is in a little over 2 months away. 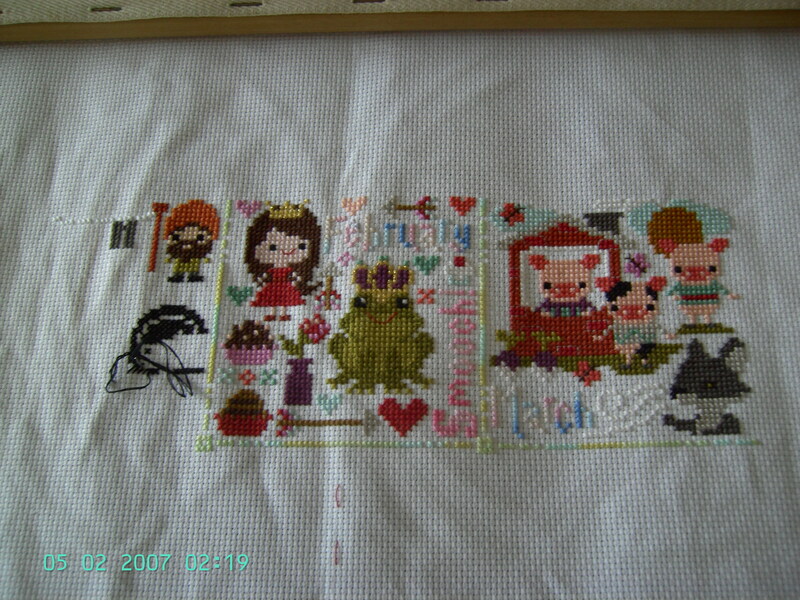 Then I suddenly realized that it’s nearly April, and that means the next installment of the OUAT sampler I’m cross stitching, so I pulled that out to try and get some more done on January! I’m going to work on this today, and see how far I get. Fingers crossed I get quite a lot done!